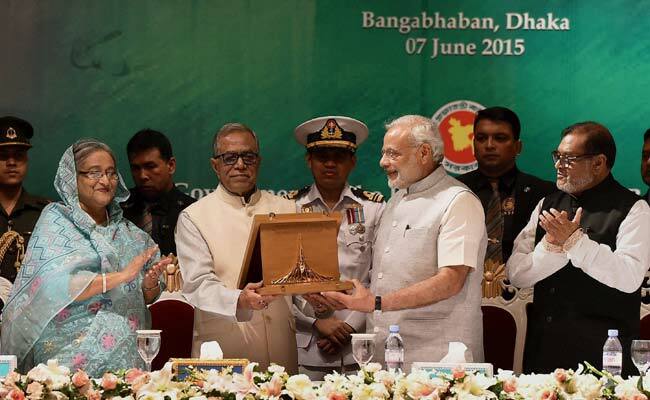 Dhaka, Bangladesh (BBN)-Prime Minister Narendra Modi Sunday received Bangladesh’s Award of Liberation War Honour on behalf of former PM Atal Bihari Vajpayee at a ceremony in Dhaka. PM Modi is on a two-day visit to the country that ends today. PM Modi, who received the honour from Bangladesh President Abdul Hamid at Bangabhaban, called it an “inspiration for so many people”. “This day is a matter of pride for the people of India… If Atalji’s health permitted and he was present here, this occasion would be very different,” Modi said. 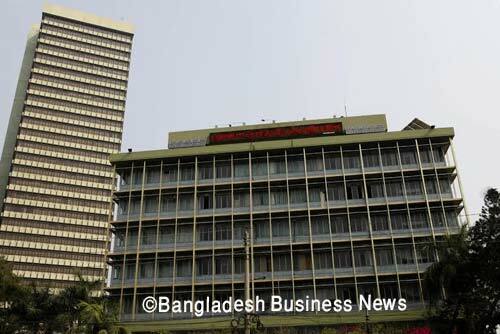 The Prime Minister, who described his visit to Bangladesh as “historic”, will address the Indian community later this evening at the Bangabandhu International Conference Centre before leaving for New Delhi. He is also scheduled to meet political and business leaders, including Leader of the Opposition Raushan Ershad and Bangladesh Nationalist Party Chairperson and former prime minister Khaleda Zia. The meeting with Khaleda will be closely watched, with the opposition leader’s long-running calls for fresh elections gaining little traction. Earlier this morning, PM Modi offered prayers at the famous 12th-Century Dhakeshwari temple in Dhaka, the most revered place for Hindus in Bangladesh. On Saturday, India and Bangladesh ratified the historic Land Boundary Agreement which will simplify their 4,000-km border and clarify the identities of 52,000 people living in the enclaves.